Teachable is a leading online course builder – it is currently powering over 20,000 course websites and has helped instructors process over $100 million worth of sales. I have been using Teachable since 2015 when it was actually called Fedora and in my mind, it is definitely one of the best options to host & create your online courses (and I'll explain why soon). There are a number of Teachable reviews across the internet but most of them fail to give the users a definitive answer to whether Teachable is the right course platform for them or not. So, I decided to create the most comprehensive Teachable review guide out there and cover every aspect of selling online courses on the platform. Teachable is a cloud-based platform that allows you to create, publish and sell online courses. It is probably the closest you can get to finding a platform which is beginner friendly but at the same time is equipped to help you run a successful online course business. What I like about Teachable? What I don't like about Teachable? Doesn't support advanced quiz features like question banks etc. how to build a course website on Teachable. 3. Teachable Pricing - Is It Worth the Investment? Teachable is a hosted online course platform that allows you to build your course website, host your online courses, sell & market your courses, deliver your content and also engage with your audience. If you were to sell an online course using WordPress, you would require at least a theme, a hosting package, video hosting (Vimeo, Wistia etc.) to host your videos, an LMS plugin to organize your content, a membership plugin to protect your content and an e-commerce plugin to sell your courses. Moreover, you will need to take care of security and updates and tackle potential conflicts. As a result, most course creators end up spending a lot of time working on the tech rather than creating & selling courses. What Teachable does differently is, it integrates all these core features into one single platform. The end result is an easy-to-use, integrated solution that allows content creators to sell online courses through the platform even if they have no tech skills. Teachable has a lot to offer an online entrepreneur like you and we'll discuss it's specific features in the next section. Teachable is to online courses what Shopify is to e-commerce. Every school gets a subdomain like sellcoursesonline.teachable.com for free. You can also use your own custom domain if you wish. You can use Teachable's drag-and-drop editor to build the homepage, course sales page and other pages on your site. Most importantly you don't require to be tech-savvy to create your course website. If you're looking to make advanced customization on your site, you can do that as well with their Power Editor. You can easily add video, audio, images, pdf files, quizzes, html etc. to your course lectures. 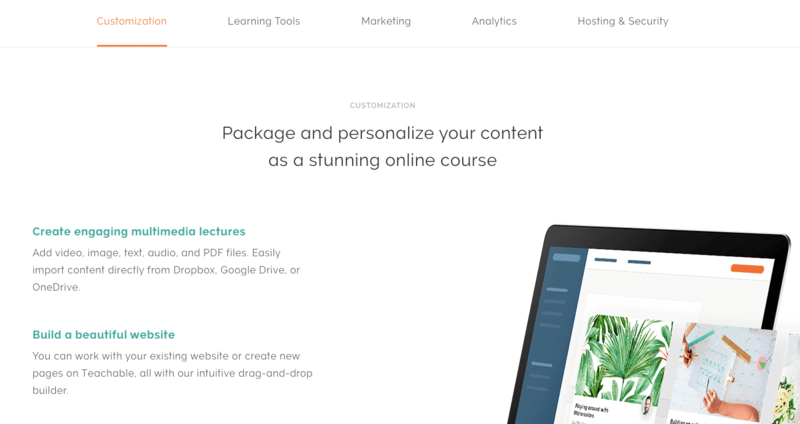 Teachable provides unlimited hosting for your course content including videos on all plans. Students can interact with the instructor and fellow students using Teachable's native comments feature. You can either release all the content to the students at once or you can drip it over a number of days. You can create & issue certificates of completion to your students. You can easily charge a one-time fee, a subscription or a payment plan for your courses and you can accept payments from your students via either Paypal or Stripe. Teachable provides capability to create discount coupons for your courses to market & sell your courses. You can integrate with MailChimp, AWeber, Infusionsoft, Mixpanel, and almost any other marketing tool via Zapier. You can very easily create a marketplace as well - add instructors, allow them to create & manage courses and further share revenue with them. You can also create an affiliate program for your courses using Teachable. These are just some of the Teachable features and you can read more about what it has to offer here. 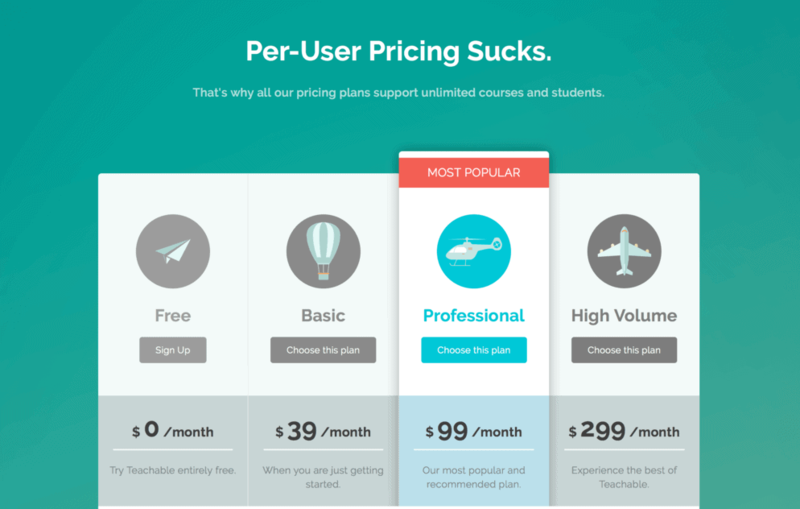 As far as Teachable pricing is concerned, Teachable offers a freemium subscription model where you can either choose their free plan or one of the 3 paid plans. All the pricing plans including the free plan offers you unlimited video hosting (Wistia), courses, students and bandwidth in addition to the essential features like quizzes and discussion forums. However the free plan is suitable for you only if you're just getting started with online courses and want to test the waters. The free plan doesn't include features like coupons, custom domains, third party integrations etc. To get access to these premium features, you'll have to upgrade to one of the paid plans. The lower tier is called Basic Plan and costs $39/mo. It has all the essential features that you require to sell online courses on Teachable. However, Teachable's most popular plan is the Professional Plan that costs $99/month. Teachable charges 5% transaction fees on the Basic Plan while there is no transaction fees on the Professional Plan. Monthly payouts on the Basic Plan versus instant payouts on the Professional Plan. Professional Plan gives you access to the Power Editor that allows you to do advanced customization on the platform (suitable for developers). Teachable also offers an Business Plan that is more suitable for enterprise clients. It allows you to have upto 25 owners/authors on your school and also offers advanced features like bulk student import. If you have a limited budget, you can choose the Basic Plan in the beginning and upgrade to the Professional Plan once you're ready to do that. You also have the option to choose an annual plan instead of a monthly plan and by doing that, you'll get 2 months free. The best part about Teachable pricing apart from being reasonable is that it is flexible and gives users various options. This makes Teachable suitable for both beginners as well as advanced users. Your free download is on it's way and should be in your inbox in a few minutes. The best part about the Teachable platform is that its very intuitive and easy to use and you can build a course website on the platform in a couple of days even if you're not tech-savvy and have zero coding skills. Moreover, Teachable does a superb job in striking a balance between ease of use and what you can customize without stepping into 'developer's zone'. And that is the reason Teachable is the most beginner friendly online course platform. However, if you're one of those tech-savvy guys or have a developer in your team, Teachable does offer you complete flexibility in customizing your school. 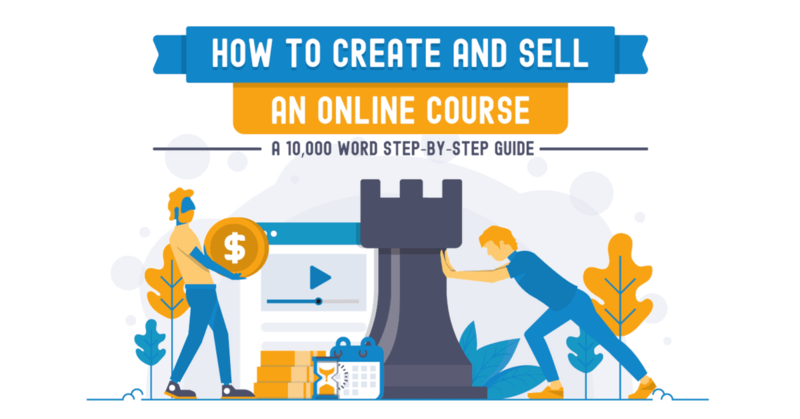 The process of creating a course and uploading your content is super easy as well. You can bulk upload your content into Teachable and then drag & drop to organize them into lectures and sections to create your course. With Teachable, you don't need to worry about things like hosting, site performance, security, backups, updates and maintenance. Their team takes care of all these stuff which saves a lot of time and lets you focus on more important things like creating courses and selling them. To be honest, this is true for any good hosted online course platform. However, this is also the #1 reason why many course creators choose Teachable over WordPress and thats why its worth mentioning here. This also makes Teachable truly 'Passive'. So even if you go away for a month, you can be confident that your course platform will be up and running. Course delivery is one of the core strengths of the Teachable platform. Firstly, it allows you to add multiple content types like video, audio, pdf, text, quizzes and other multimedia content to your lessons, making your courses much more engaging. More importantly, it lets you deliver the course content in professional manner. The course player looks elegant and is very well designed from a user experience point of view. 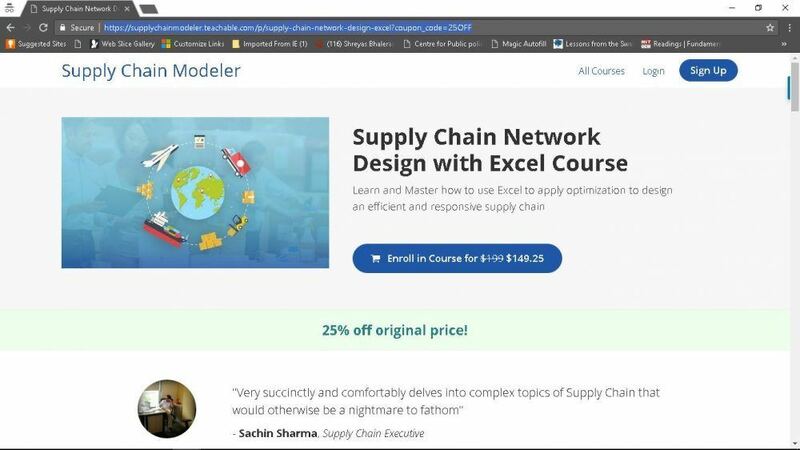 Overall, Teachable does an excellent job at course delivery and this is one of the reasons why so many course creators host their premium courses on Teachable. Teachable has a highly optimized 1-step checkout process where a user enters his or her personal information and makes the payment on the same page. There is minimal friction in the process and is great from a conversion point of view. Moreover, Teachable allows you to add custom elements like Testimonials, Money Back Guarantee etc. on your checkout page and it helps further boost conversions. Another handy feature that Teachable offers is the ability to create coupons. You can create direct coupon links to your sales page and checkout page so that the discount is already applied and the user doesn't need to enter a coupon code manually. While these are some of the things I like the most, Teachable offers other features like 1-click upsells, affiliate management, course bundles etc. Anyone who sells digital products to the European audience is supposed to collect EU VAT Tax on behalf of their customers and then pay the taxes to the authorities. Teachable is probably the only online course platform that handles EU Digital Goods VAT Tax without requiring the use of an external solution like Taxamo. It allows you to add EU VAT on top of your course price so that you don't end up paying taxes from your course revenue. Also, if you're using the Teachable's Gateway, they will even pay the taxes to the EU authorities. While I have seen many US based instructors not collecting EU VAT (even though you're supposed to), there is literally no escaping for Europe based instructors and if you're based out of EU, there is no better platform for you than Teachable as far as EU VAT handling is concerned. Teachable is one of the most reasonably priced online course platforms. For everything that Teachable offers including unlimited students, courses & video hosting, the pricing is reasonable. Plus the Teachable pricing structure is really flexible. For example, you can start on their Basic Plan which costs $39/mo and pay 5% Teachable fees. Once you start making a decent income, you can upgrade to their Professional Plan ($99/mo) and stop paying any (0%) transaction fees. While Teachable is a great platform to create & sell online courses, it does have certain limitations and you should consider these before making a decision. Teachable doesn't have a theme library from where you can select a theme and apply the theme style to your entire site. The so called 'Theme' capability in Teachable is limited and you can only change font style and color in the theme settings. Other elements like button style and header style can't be changed from the settings. Their page builder does allow you to easily create your homepage and course sales pages quite easily and will work for you unless you're looking to create a unique design for your school. You can still create a completely custom online school on the Teachable platform but that will require you to either do the coding (HTML & CSS) yourself or get a developer to do that. While Teachable allows you to create basic quizzes on the platform, it doesn't have inbuilt capability to create advanced quizzes. When I say advanced quizzes, I mean ability to create question banks, create timed exams, randomize quiz questions etc. If quizzes are really an important part of your online courses, you can use a quiz solution like ProProfs or ClassMarker and integrate it with Teachable but that will obviously mean additional cost for you. Another area where Teachable lacks is gamification. While Teachable allows you to create and issue certificates to your students natively, there is limited support for things like badges and you will have to use an external solution for the same. Gamification is certainly an important aspect of any LMS solution and I believe Teachable should build new gamification features sooner than later. Teachable at this point has direct integration with only two email service providers: MailChimp and ConvertKit. While a large number of course creators use these two solutions, there is a significant number of users who uses other solutions like ActiveCampaign and Drip. To integrate these solutions with Teachable, you'll need Zapier. While Teachable's Zapier integration is robust and allows you to seamlessly integrate with other solutions, it also means learning to use another solution and extra cost. These are some of the limitations of the Teachable platform. I know that their team is working on improving some of these things and I will update this article as soon as there is an update. Let's look at some of the Teachable alternatives and how they compare to the Teachable platform. Kajabi is the most feature-rich online course platform in the market that allows you to do more than just selling online courses. In addition to hosting & selling your online courses, you can build a fully-fledged website, create a sales funnel as well as send follow up emails using Kajabi. The idea behind Kajabi is to let you run your entire business from a single platform so that you don't need to hack together or learn to use several different plugins. However, Kajabi has a steep starting price and it won't work for everyone. The lowest tier costs $149/month and the most popular plan costs $199/month. It doesn't offer a free plan but you can get a free trial of the platform if you want to give it a try. 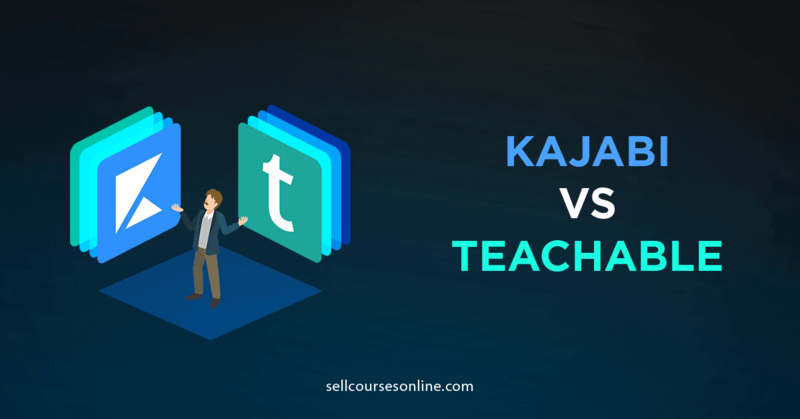 You can also read this Teachable vs Kajabi guide if you want to see an in-depth comparison of the two platforms. 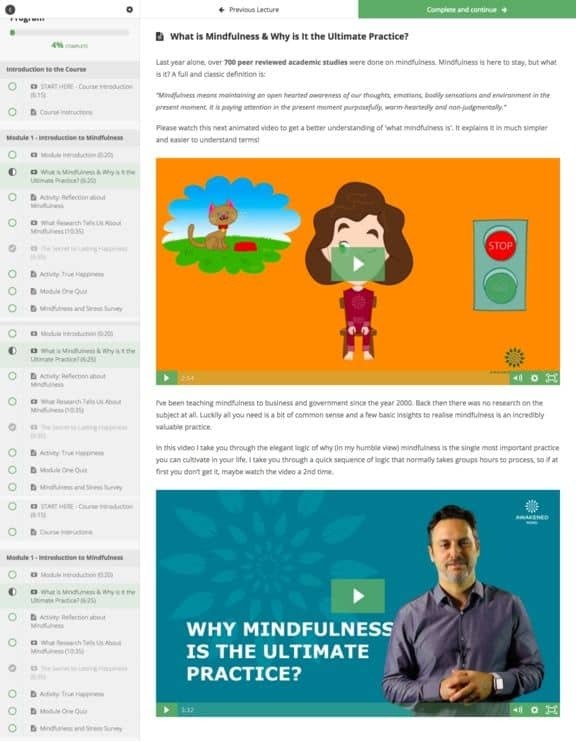 Thinkific is a popular Teachable alternative that is very similar in terms of both capabilities and pricing. Like Teachable, Thinkific also allows you to have unlimited courses, users, bandwidth and video hosting on all their plans. Thinkific's strength is its site building capabilities. Unlike Teachable, Thinkific has a theme library from where you can select one of the theme templates and apply to your entire site. Thinkific also allows you to create advanced quizzes and certificates which aren't supported by Teachable natively. However, Teachable's sales & marketing capabilities are much more powerful compared to Thinkific. It has a highly optimized 1-step checkout process, allows you to create 1-click upsells and also handles EU VAT. Also Teachable's course area/player is more professionally designed and results in better student experience. 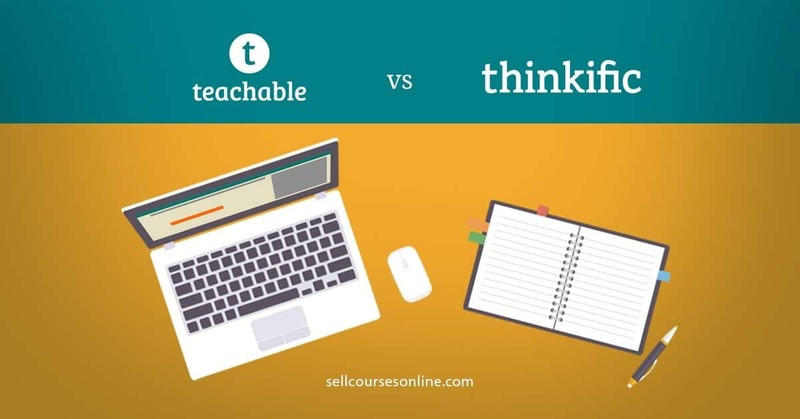 You can also read this Thinkific vs Teachable guide if you want to see an in-depth comparison of the two platforms. 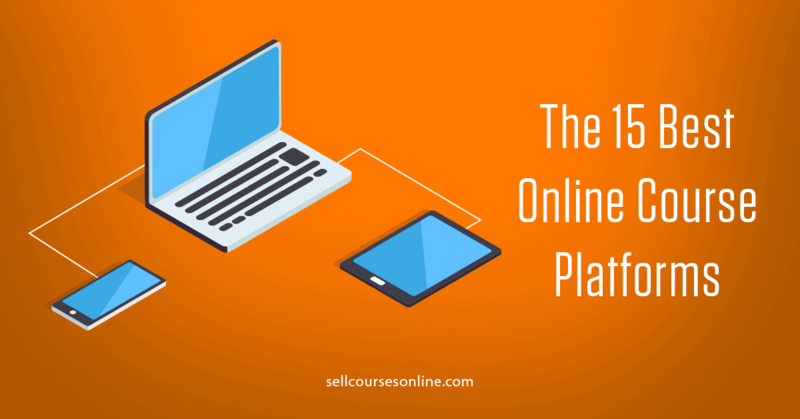 Another popular option to sell online courses is using WordPress platform and an LMS plugin. LifterLMS is a robust WordPress plugin that has integrated LMS, membership and e-commerce capabilities. While WordPress does allow you more flexibility in building your course website, it's much more complex to setup & manage and hence I recommend you go this way only if you're WordPress-savvy. Teachable is a much simpler platform to use and what it offers is more than sufficient for 90%+ course creators. Unlike WordPress, it doesn't require you to take care of security, updates & maintenance on an ongoing basis, making it the preferred choice for non-techies. In this section, I will answer a few questions that people often ask me about Teachable and this will help you make a final decision on whether Teachable is the right course platform for you or not. By default, every school gets a Teachable subdomain like https://myschool.teachable.com. While you can use the Teachable subdomain to launch your school, its not recommended from a branding as well as SEO point of view. Now, you can use your own domain for your Teachable school if you're on Basic Plan or above. You can either use the root domain (https://myschool.com) or a custom subdomain (https://courses.myschool.com). Teachable has two types of gateways to collect payments for your online courses. The first one is called Teachable Gateway where Teachable collects payments on your behalf, the money goes to their Stripe/PayPal account and then make a payout to the instructors on the first business day in a month for transactions that happened at least 30 days prior to the first day. The other option is Custom Gateways where the money goes directly into your Stripe/PayPal account and you receive money in your account immediately. The Custom Gateways option is available only on Professional Plan and above. While you receive instant payouts on Custom Gateways vs Teachable Gateway, the advantage of using the Teachable Gateway is that Teachable automatically distributes payouts to owners, authors and affiliates and even for EU VAT Tax, thus significantly reducing admin work at your end. Can I build landing pages on Teachable? 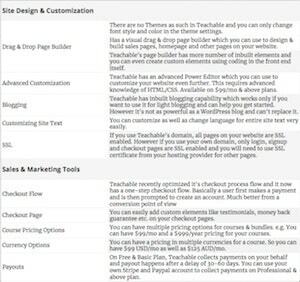 Teachable does have a page builder which allows you to build your course sales page as well as other pages on your course website. However, Teachable doesn't have any landing page templates or lead generation elements or doesn't allow you to run A/B tests. So, Teachable doesn't include a landing page builder. However, if you want to build a landing page to collect emails on Teachable, you will have to embed an optin form from your email service provider and this will require some additional work. Does Teachable have inbuilt capability for sending emails? Yes, Teachable does allow you to send broadcast emails to your students. You can segment your students based on multiple conditions and then send them email broadcasts. This is a really handy feature for sending your students updates, new offers, announcements etc. Teachable even allows you to create a drip schedule for your courses and send out drip emails using their system. In addition, Teachable takes care of sending the transactional emails to your students when they create an account, purchase a course etc. However Teachable is not meant to replace an email marketing automation tool like ConvertKit and you'll need such a tool if you want to send automated follow ups to your subscribers. How is Teachable's customer support? Teachable offers 24x7 dedicated customer support and my experience with their customer support has been really good. In the past 1.5 years, Teachable has improved its customer support significantly and now their average response time is less than 2 hours. Teachable also offers live chat support for its users on the Professional ($99/mo) and the Advanced Plan ($499/mo). Teachable also has a really engaged community on Facebook. Their official FB group has 22k+ members where you can ask questions and get help from fellow course creators. 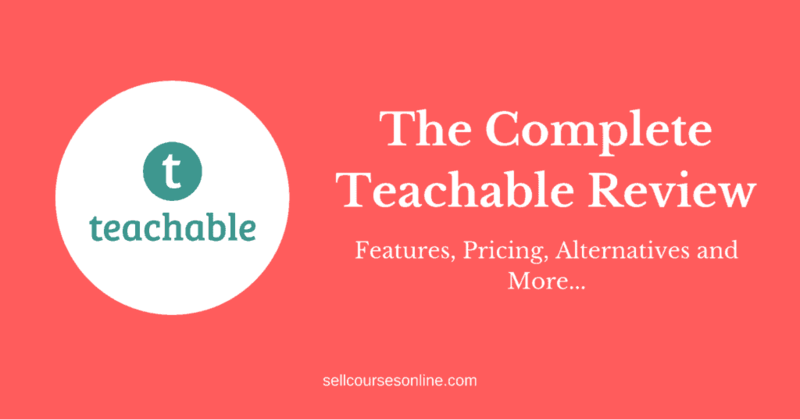 Teachable is one of the best solutions for hosting & selling your online courses. Where Teachable really shines is its ease of use, 'zero' updates & maintenance, professional course delivery, powerful sales & marketing features and reasonable pricing. While Teachable is an ideal platform for those getting started with online courses and those with little technical skills, it is equally suited to scale up and run a fully-fledged online course business. Teachable does lack in certain areas like site themes, advanced quizzes and gamification. But overall, its a great solution to create & sell online courses. The rest depends on your specific needs. I hope this comprehensive Teachable review guide helped you make a decision about whether its the right course platform for you or not. Do you still have any questions about Teachable or want to give some feedback? Do let me know in the comments below. Disclaimer: I am using affiliate links within this post, so if you do want to go purchase Teachable, clicking a link will pass me off a little commission (without costing you anything extra)! Want to Give Teachable a Try?